Looking for chairman welcome speech for church harvest? Than you for visiting our page for the direction on how to go about it. 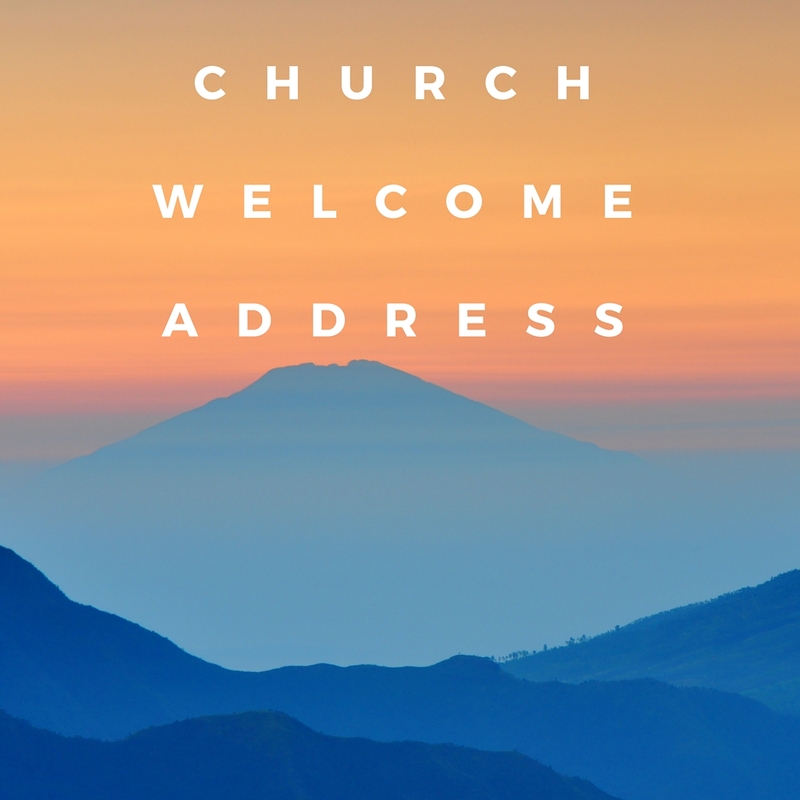 I presume this is your first time that you have been requested or asked by the church to do a welcome speech. So far you don't know where to begin from. Thank you for landing in our page, below here we sample speeches and information that can guide and help you as you prepare for the occasion in your church. We show you if you are the harvest chairman of your church what will you do you will do. We have a sample speech that can help you prepare for the occasion and also information on how to write the speech that you want. Allow me to take this opportunity to thank our heavenly Father for the wonderful opportunity that we have been granted today as we congregate here in this great event. We have come from far and wide for this occasion and as the chairman of this church, let me welcome you in a special way and feel at Jesus Feet. Thank you for finding time to come here and may the love of God be with you always. The Lord has promised in the book of Deuteronomy 28:6 that You will be blessed when you come in and blessed when you go out.. He is the one who started the good work in us and will bring it into completion according to the will that is in Jesus Christ. As we celebrate today the harvest that the Lord has granted to us, we want to count the much blessings we has been bestowed upon our church and it is a great privilege to be among the faithful present today here. As we begin the program of the day. let me give our Lord the honor and praise Him forever. Let me conclude by saying that may the "hagia pneuma" which is the Holy Spirit which of the Lord guide and help us so that we can continue doing the will of God in this word. Stay blessed and God loves you. Friends in Christ I greet you in the name of our Lord Jesus! Congratulations to you and the Lord for the milestone accomplished today, It is has been a long journey but we are grateful to our Lord for leading us this far. No one ever imagined that we shall come to an end to the program, we can only thank the Lord for His goodness, as you move now to the next level may the good Lord be with you and may the Holy Spirit continue to teach and show you what is the will of God in life. I want to thank each and every one of you for finding time to be here today and God be with you always. The above speech is just a sample that can help you for the occasion. You might be interested in a detailed speech that fit the occasion that is about to take place in your church. If you have a specific speech in mind that you would love we help you to write,don't hesitate to contact us for help. we shall write one and deliver it to you. Below is the contact form that you can use to fill your details that can help us write one from scratch and send it to you. If you are interested just fill the above form and we shall be of great help. We have also prepared a manual that is in form of a ebook that can help you write one from the scratch. It is a step by step process that will assist from writing to delivering a speech in the church during the occasion. Click this link and you will be able to download the how to write and deliver a church speech ebook that will help you and others in the church to write any type of speech. Were it not for His power, we wouldn't make it. Let us praise the Lord always and may His name be glorified always. We are praying for the upcoming occasion in the church and may the grace of the Lord guide and His love be upon you always and the church. Let the will of God be manifested during the day, as the chairman, God is with you and let Him give you the confidence that you need till the event come to an end.